You didn’t buy your jewelry to sit in a box. You bought it to wear it and flaunt it – a lot! If something were to structurally fail that is out of the nature of its material, it is under warranty. So rock it and know that with our 5 year plan, we’ve got you covered! $79 Warranty Processing Fee for up to 5 full years – including FREE shipping back to you! Elysium Warranty: If your Elysium ring breaks, you can send it back for a replacement within one year with a 25% deductible of what you paid for the ring. If your Elysium ring breaks after one year of wear you can contact our service department. 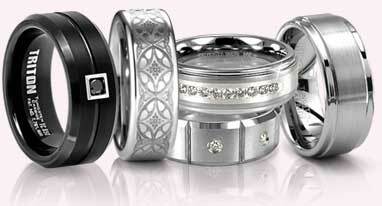 We will do our very best to work with the designer on a case by case basis to get your ring replaced. Stone Warranty: Our stone warranty covers only stones that weigh .35ct or smaller. For any stone larger than that we recommend getting a 3rd party insurance for it, such as Jewelers Mutual. International Orders: International orders have a $59 warranty processing fee plus shipping charges. *Keep in mind, every material is unique and has unique properties. Some will scratch with normal wear which is not covered under warranty but may be refurbished. For more information, please contact our service department or read more information about the individual material. *Warranty is void if any item is modified or worked on by a jeweler. How long will my warranty take? Please allow up to 6 weeks. Time frame depends on work needed, maker and their current volume of orders. How do I pay for my warranty claim? We do not keep credit card information on file for your security. Once we receive your returned jewelry, we will email you a confirmation and invoice for the warranty claim. At that point, you may call us for payment. Or once your replacement/repaired jewelry is ready to ship out to you, we will call you for payment. What if my jewelry needs a warranty claim after the 5 year plan? What if I lose my jewelry – is this under warranty? As of right now, only Lashbrook items come with a warranty if you were to ever lose or have your jewelry stolen. You may receive a replacement for a 25% deductible of what you paid for your jewelry. Other than that, we recommend you get your jewelry insured by a 3rd party, such as Jewelers Mutual. How do I send my jewelry back to you for a warranty claim?